This has become my go-to ‘quick mani’ as it doesn’t seem to matter how shoddily I slap it on, it always comes up looking pretty neat and polished! The above shows three coats but it’s the kind of polish that you can wear sheerly to good effect. It has a slight ethereal quality in the sunlight thanks to the pale hue and subtle silver shimmer. It’s a very pretty polish with good wear and one I’m pleased to have in my collection. 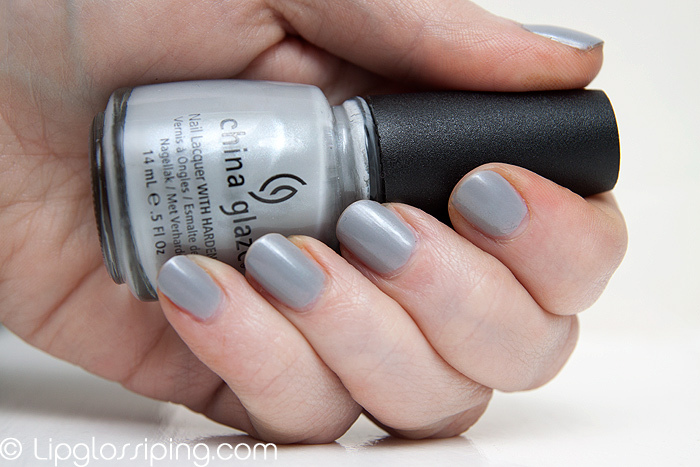 Pelican Gray is from the China Glaze Spring 2011 Anchors Away collection. Do you like grey polish for Spring? That grey is totally a Spring colour, innit? It’s light and foamy. Looks really nice on short nails. I think grey polish always looks chic! That looks very pretty and elegant. I don’t know what it is, but recently I really love grays. It looks very pretty against your skin, I must say. Such a gorgeous color! Looks really good on you Pity grey looks so weird on me.